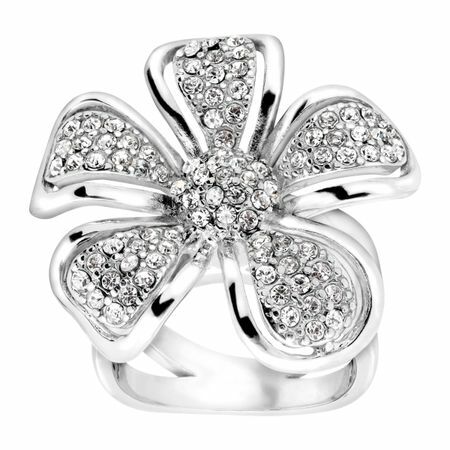 Turn heads with this impressive flower ring. A palladium-plated brass stylized floral frame is studded with round-cut white Czech crystals for flawless sparkle. Ring face measures 1 1/8 inches in diameter.